Sophie Koh is an Australian award-winning singer and songwriter who marries a love of pop music with a background in classical piano. 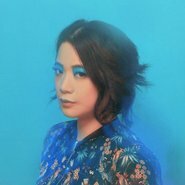 Her latest album Book of songs is a splendour of folk-pop inspired by Chinese poetry and western classical music, a new direction for the artist as she explores her ethnicity for the first time. Born in New Zealand to Malaysian-Chinese parents, Sophie spent her childhood in Singapore before moving to Australia. Sophie was UnEarthed by Triple J in Darwin back in 2003 and has since toured and collaborated with numerous musicians including Ben Lee, The Eels and The Go-Betweens. She has released four independent albums and toured extensively throughout Australia and more recently China. Celebrating Lunar New Year and our new exhibition Heaven and earth in Chinese art: treasures from the National Palace Museum, Taipei , Sophie will be joined for this special Art After Hours performance by Caerwen Martin on cello and Biddy Connor on viola.